I greet whole-heartedly all those who are trying to follow and live Mary’s messages of Medjugorje. Again, before we reflect on what she has told us this month, let us first think back and consider what she said to us in the April message. There she called us to conversion, that we work more on our own personal conversion, and that we are too concerned with the material things while too little with the spiritual things. She again asked us to pray until prayer becomes a joyful meeting with God, and that this is the primary condition for our discovering the purpose of life. She then also suggested that we begin to reflect with joy upon eternal life. Concerning conversion, one must always repeat that when any one of us hears the word conversion we must very personally attend to this. It will mean something entirely different to each person, but still there are aspects of conversion that will mean the same thing for everyone, and these are that by way of conversion we are called upon to fight constantly and untirely against sin and against all that is evil, and in the same way for all that is good. When someone says that it does not pay to fight against what is bad or for all which is good, he is then opening all doors and windows of his life to what is evil and sinful; and these will then destroy all life. Every conversion is a personal conversion and all work is in the same way really personal. We should pray for the conversion of the others and Mary told us this in several of her messages. Still she tells us that we should also renew our work on our own personal conversion. I believe this word should in a special way touch Priests, parents and teachers, and all others who are in the position of raising young Catechists, because it can happen so easily to us when we are responsible for others that we expect conversion of them while we ourselves have neglected to attend to ourselves. This is why it is important that we remain very conscious about our own constant need for working on our own conversion. It is also possible to work on conversion when no-one else wishes to convert themselves. It is also possible to pray when no-one else wishes to pray. It is possible to fast when no-one else wishes to fast. It is so important to remember this and this then fits so well with the call or the warning that we are too concerned with the material things while too little for the spiritual things. In all this it means that we must search for and then find and keep a balance in our lives. Many people today have lost this balance in their lives in that they have concerned themselves too much with the material. Mary, as mother, teaches us and makes sure that we work on this balancing of our lives so that it may come into our lives. Prayer as a joyful meeting with God is possible because when we meet with a loving person, joy always enters our heart and because we know that God loves us immeasurably, every prayer should become a joyful meeting. Only one thing remains for us to do and that is that we pray for that grace every day. When one meets God, then one has discovered the purpose of life and that is because every one of us yearn for peace, love, joy, trust, security, light, the way, and the truth. All these only God can give us and therefore those who meet with God have found the purpose of life. Many people today have remained without joy and without a purpose in life, and the reason for this is clear — they have distanced themselves from God. That is why in order to find the purpose one must again return and convert to God. For us it is equally important that we never forget to reflect on eternal life with joy. When one says ‘I believe’ eternal life is automatically included, but many people who say ‘I believe’ are in fact acting as though this is the only life that there is and that there is no other. Among several Orders in the Catholic Church there existed the greeting among the brothers ‘momento mori’ and this means ‘remember that you will die’; but at Easter time the greeting became ‘momento vivere’ — ‘remember that you wish to live’. This is our truth and our reality. We should always be conscious that our lives here on earth pass by but this is no reason to panic because we all believe and know that we are all called to enter eternal life, eternal joy, eternal peace, and eternal love; and we wish to do everything possible so that one day we will be worthy to be called into this eternal life. And for this we should also pray. Mary’s daily apparitions continue and already 18 years and 11 months have now passed, and we are now preparing for the 19th Anniversary of the apparitions. The three visionaries, Vicka, Marija and Ivan, are still having the daily apparitions, and at the moment Vicka and Marija are in Italy while Ivan is here with his family. Ivan and Vicka are meeting with pilgrims every day and are giving them their testimonies, just as Mirjana and Jacov are also occasionally doing the same, but less than the first two. Marija is in Italy and is coming here for the Anniversary with her family and Ivanka is living entirely withdrawn with her family. There are many pilgrims in Medjugorje and right now we have Italians, Germans, Austrians, Swiss, English, Irish, Americans, Polish, Czechs, Slovaks, Russians, Romanians, and Koreans, while more and more are also coming from Lebanon and South American countries. Medjugorje is very much alive. As already mentioned, we are now preparing ourselves for the 19th Anniversary for which we are expecting a very great number of pilgrims. On June 24, so on the Vigil of the Anniversary itself, we already traditionally have held our March for Peace from Humac to Medjugorje. At 6 a.m. we walk with the Holy Sacrament from the Fransiscan Monastery at Humac and this takes from 3 1/2 to 4 hours. Over the years more and more people have taken part in this March for Peace and we invite all of you to come with us. Then the next event on our calendar is the Priests’ Week that starts on June 30 and lasts until July 6 and for that many Priests will be here in order to get a course in Mary’s School for Peace. I invite all of you as well as all prayer-groups to pray for all Priests but also if possible to enable it for your Priest to be able to come to this week that has been planned for them. Last year there were 170 Priest here for that event while this year we are expecting more than that and local families are offering their homes so that the attending Priests can be their guests. All Priests who wish to come should write to the Parish Office and will then be delegated to these families. But it is more important that we first of all pray for the Priests and most especially for all those who will be attending this special week. and our question is whether we rejoice. We humans are created in such a way that one could say we are created for joy. We want, we search and we yearn for joy in our lives. But we must discern between true joy which comes from God and which creates and signifies a condition in our souls which can at the same time carry suffering and sorrow. Every person yearns for joy and there are only two ways to joy — the way that Jesus shows us and the way that the world offers us. Many people take the way to joy that the world offers them, but this is a temporary and very superficial way to frivolties that for instance drugs and alcohol offer them, but at the end they remain sad, disillusioned, without a purpose for life and most of all without peace. True joy, as Jesus teaches us, comes from love that is ready to offer itself for the others, and that is ready to suffer. Therefore it is so imporatnt for us to follow Mary’s message of April when she tells us to reflect upon eternal life with joy. If we do that we will also carry our cross, our sufferings and even our death with joy when we know that this life does not end here, but continues in eternal joy and love. That is the reason for joy. That is why Jesus says: “When you have suffered, when one has said every evil thing about you, when one has done every evil thing to you, then be joyful because your names will have been written into the Book of Life.” We may also be joyful when we suffer because we know that when we suffer God will take us into eternal joy. Mary, one can say in human terms, is joyful also because she is able to see many fruits due to her apparitions. Many people have here again begun to pray and have discovered and experienced true peace and true love, and many people by way of the Sacrament of Confession have again been able to find the strength to forgive and to begin their lives anew with the others and with God. This is a reason for joy. Mary is joyful about every family that prays and about every prayer-group. And these are also reasons for our own joy. Here we may think of two realities — this Jubilee Year is certainly a time of grace, a time for reconciliation and forgiveness, a time of indulgence; but the second reality is the phenomenon of Medjugorje. It is a real time of grace for all those many people who here started their lives again with God, and this is the two-fold reason that we should think of a spiritual renewal. Every pilgrimage has the potential of becoming a spiritual renewal and when someone begins again to pray, to fast, to attend Holy Mass, to go to confession and to start to do good deeds based on his faith, then one can every time speak of a spiritual renewal of his life. But is also important to think very concretely about every pilgrimage, every meeting of a prayer-group, every retreat as a spiritual renewal and I also invite all of us who are trying to follow Mary to very consciously pick one day a month to make a private retreat or every 6 months or once a year to attend some longer retreat, but one way or another to chose a specific schedule which we consecrate solely to our spiritual lives. This will help us all on the path with Mary to Jesus. …..through this love which can only be God’s gift and God’s grace. 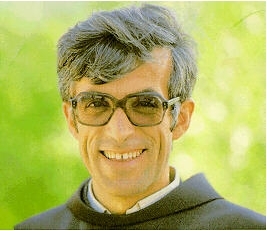 And this is really what is decisive in our faith and here it is mandatory to attend Mass, to pray and to fast, but all this also has the particular purpose in that we through this sacramental life open ourselves to love and in so doing also to come closer to God as well as to the others around us. St. James also says: “Show me your acts of love and I will show you your faith.” Faith without acts of love is really a dead faith. We may not forget that we meet God in prayer, in the Sacraments and in creation, but the special meeting with God is really in the loving meetings with other people. Only according to this will Jesus let us into His Heavenly Kingdom, or when we have lacked in love for the others we will be unable to enter it. Every day and in every situation we should come to be nearer to our neighbors, and that is why we must really ask ourselves whether this is really the case. It would not be enough if we only prayed, went to Holy Mass, went to Confession and Adoration, but were not at the same time nearer to our brothers. Therefore the question is also very important for us — Is it also this way with us? Or is there something that hinders us from coming nearer to people? If we have real love for God, then there should be nothing that hinders us from being nearer to people. If we have problems with our fellow-men, if they injure and insult us, if they are injust to us, then these are all opportunities in which we can show the strength of our love. If the others’ sins distance us from them, then it simply means that our love is not yet strong enough, and that we must simply pray more for the grace of being able to love. It is not difficult to admit that we all lack the love that brings us closer to the others. Therefore we must all pray for this ceaselessly and deeply. I believe that we must really pray a lot for these two gifts — love and wisdom. All of us, but especially those of us who are responsible in the Church — the Pope, the Bishops, the Priests, the teachers and parents, and those who lead the Communities — must pray all the time for these two gifts. This is because in God’s love and God’s wisdom, Mary says, we are able to overcome all difficulties, especially those difficulties which concern our teaching others which happen we lack the needed love and wisdom. How often have we made our decisions not in our love and wisdom, but rather in our anger, our nervousness, our aggressiveness, our jealousy, our selfishness or our pride? Or in our tendency of chosing the simplest way? If our decisions are made in these ways, then we risk that they are the wrong decisions and that they then also injure the others and that from these wounds the negative, the resistance and the distrust again arise, and that the sins in this way multiply themselves. Only the wisdom that comes from God and the love that gives can help us overcome these difficulties in our decisions in our raising those for whom we are responsible. At the same time one must take very good care that before we expect something from or say something to the others, that we proof all this in wisdom and in love. When today one speaks of disobedience and the many other problems in the family and in the Church, then this is only a sign that we are lacking in God’s wisdom and love. Only in this wisdom and in this love can we begin to be renewed and to become true witnesses of love in these difficult times. Of course we will be praying much for these gifts of the Holy Spirit, but then also in a very direct way we will ask for the gift of love and the gift of wisdom. In these times which are difficult, even though there never has been an easy time, we must especially be careful that we build our lives according to God and His light. And Mary, who is the very seat of all wisdom, will certainly also help us with this and accompany us. God, our Father, and God of Life, God of Peace, God of Love, God of Truth, in the name of Your son Jesus Who out of His love for us gave His life, and with Mary, Mother of love, seat of truth, and Queen of Peace, we ask You, give us the true joy and give the courage to love and to suffer with love, and that in this suffering out of love and joy can be born which no-one will be able to take from us. We ask You, in this time of grace, give us, the parish, the visionaries and the whole Church true spiritual teaching. Fill us with the gifts of the Holy Spirit so that we, with joy, can witness Your love for us and in a special way we ask You on behalf of those who are far from faith. Give them the grace that they may recognize You, that they accept You, love You and trust You. Give the non-believers the experience of Your love for them, so that they can convert to You. Father, give us the gift of love and with the strength of Your Spirit cleanse our hearts, so that we can be near to every wish of Yours and to always come nearer to it than before. Remove from us all that which distances us from You and from the others. We give to You all situations in which we, through our sins, have distanced others from You, and we ask You for healing and for forgiveness. We also ask You for all the people who we meet that they, through us, may discover Your love. Give us, O Father, the gifts of wisdom and love, so that we may recognize, accept and do Your will. Give this wisdom and love to all parents and teachers, to all those responsible in the Church and in the world, so that all decisions are made in Your love and Your wisdom so that these may serve all of humanity. Give us the gifts of love and of wisdom, so that we become able to fight against all our sins and our bad habits, so that we may meet You in prayer in freedom and in love, and can meet all others with Your Divine love. Bless and heal all those who are far from Your wisdom and love, who have instead opened themselves to and follow the “wisdom” of this world, and who are trying to realize love and wisdom without You. Enlighten their hearts and souls so that they may convert to You, so that we, along with all others, may praise and adore You, so that every knee may bend in front of You, and so that we, once we are all being lead by Your love and wisdom, may all reach Your Eternal Kingdom of Love and Peace. Amen.